I’ve moved my food postings to a new location: Chew Your Own Adventure. 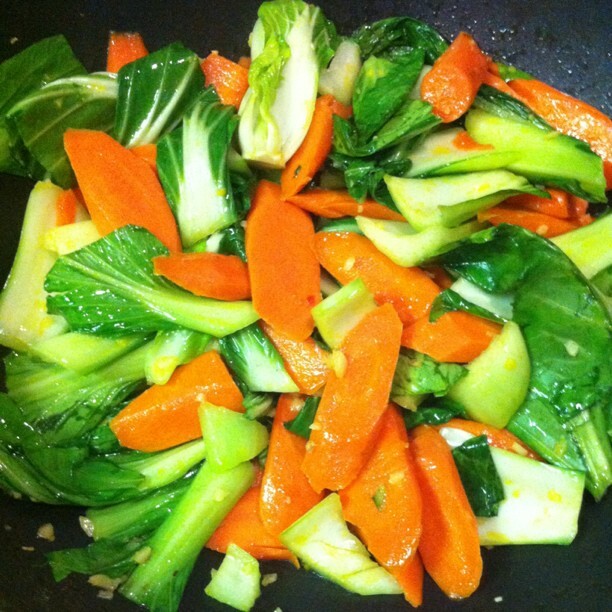 From a few different sources I’ve culled together a simple, tasty and healthy side dish: Garlic Bok Choy with Carrots. This one couldn’t be simpler: heat a tablespoon of olive oil in a wok on medium-high. 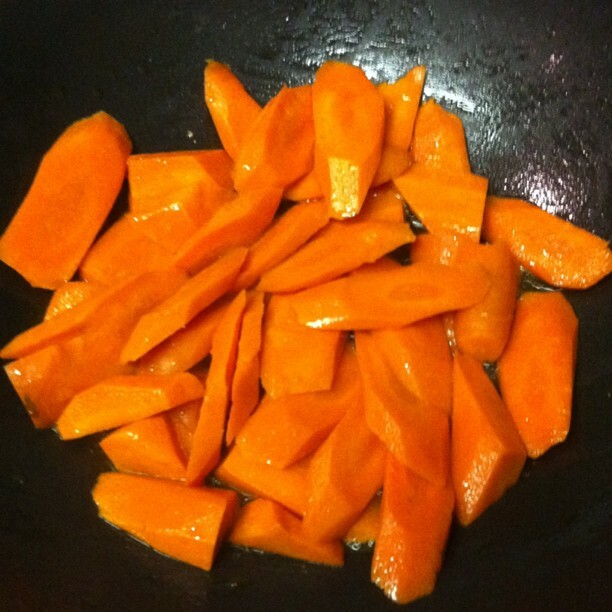 Cut the carrots diagonally into chips and cook for about 5 minutes, or until the carrots start to lighten in color around the edges. 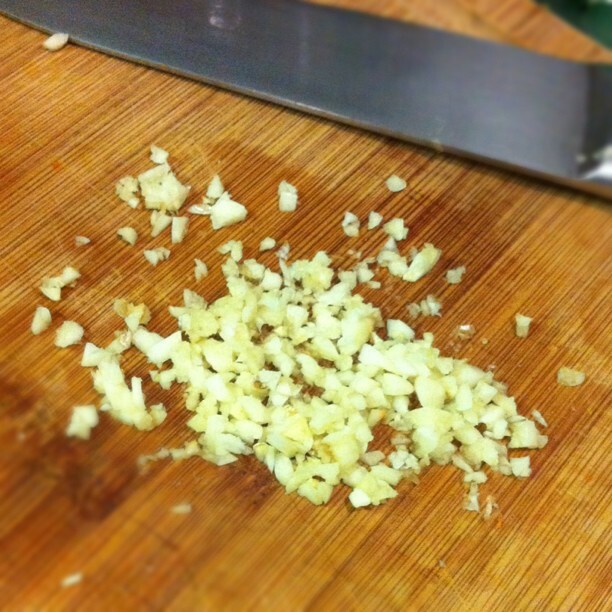 While the carrots are cooking, finely dice 2-3 cloves of garlic. 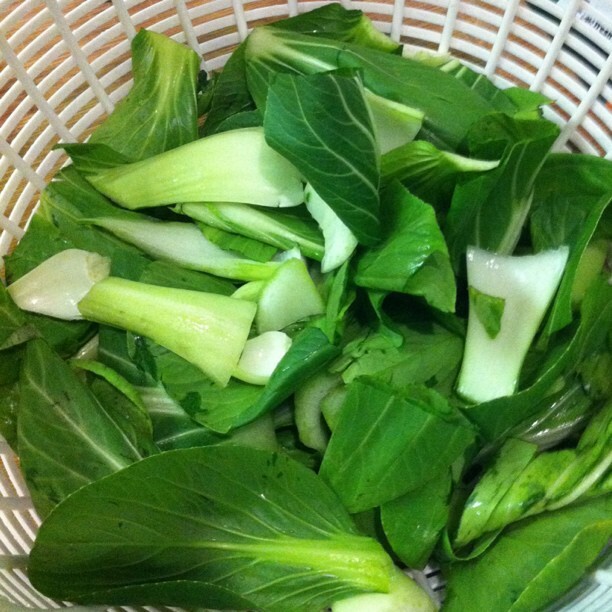 Chop the the Bok Choy into thirds, rinse and drain. Add the garlic to the carrots, stirring for no more than a minute. Drop in the Bok Choy and cook for another couple of minutes. Dig deep into the wok with a wooden spoon to get the garlic off the bottom of the wok and onto the leafy greens. This’ll prevent it from burning and mix everything up. Cook the Bok Choy until it starts to wilt then remove from heat. Voila! Simple, tasty, and healthy.